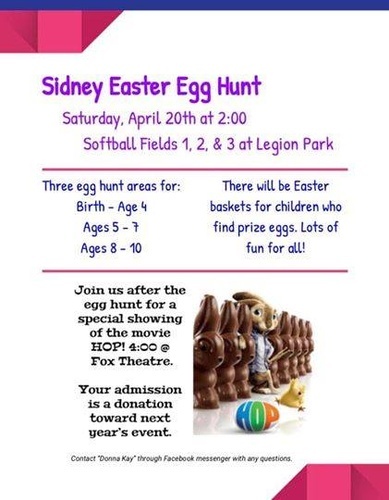 There will be Easter baskets for children who find prize eggs. Lots of fun for all! Join us after the egg hunt for a special showing of the movie HOP! at the Fox Theatre at 4:00 pm. Your admission is a donation towards next year's event.